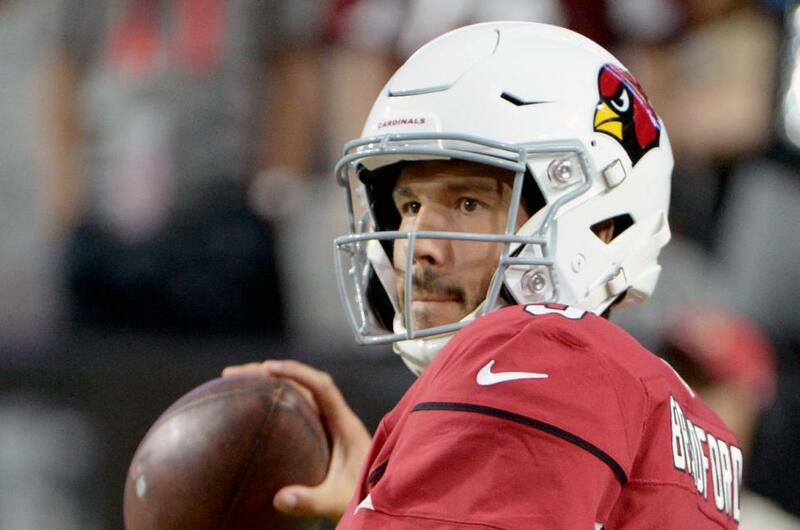 Quarterback Sam Bradford will see his workload ramp up in the Arizona Cardinals' second preseason game. Cardinals coach Steve Wilks told the team's official website that Bradford will see more time when the Cardinals visit the New Orleans Saints on Friday night. Bradford played only eight snaps in Arizona's preseason opener. "We wanted to establish the tone up front as far as running the football (in the first game) and we did that," Wilks said of the Cardinals' 24-17 win over the Los Angeles Chargers on Saturday. [post_ads]Bradford appeared in just two games with the Minnesota Vikings in 2017 but said he was not looking to see more time in the exhibition opener. "Not really, to be honest," said Bradford. "We've still got a couple of preseason games left. We've talked all camp about coming out and establishing our physicality and being able to run the football. So to come out and do what we did, I think it's extremely encouraging just because it has been an emphasis. "I don't think we could have had a better start than that." Bradford, the No. 1 overall pick in 2010, underwent arthroscopic knee surgery in November and was sidelined until he was activated as a backup for the Vikings during their two postseason games. He was held out of Monday's practice session and said his "body is in a great place" as the team works to keep him healthy. "In the next couple of weeks we'll talk more about what those (regular-season) weeks look like and what my preparation looks like and what it needs and what I feel like I need to do," said Bradford.